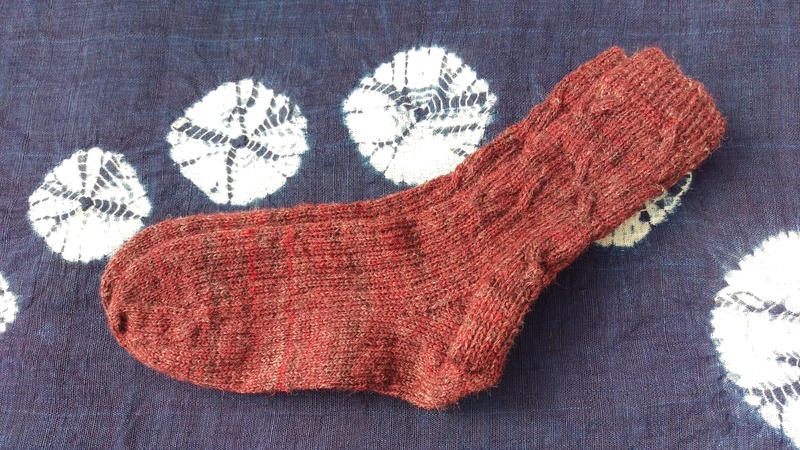 This post is part of the Tuff Socks Naturally project, an open, collaborative project exploring more sustainable alternatives to superwash and nylon in sock yarn. 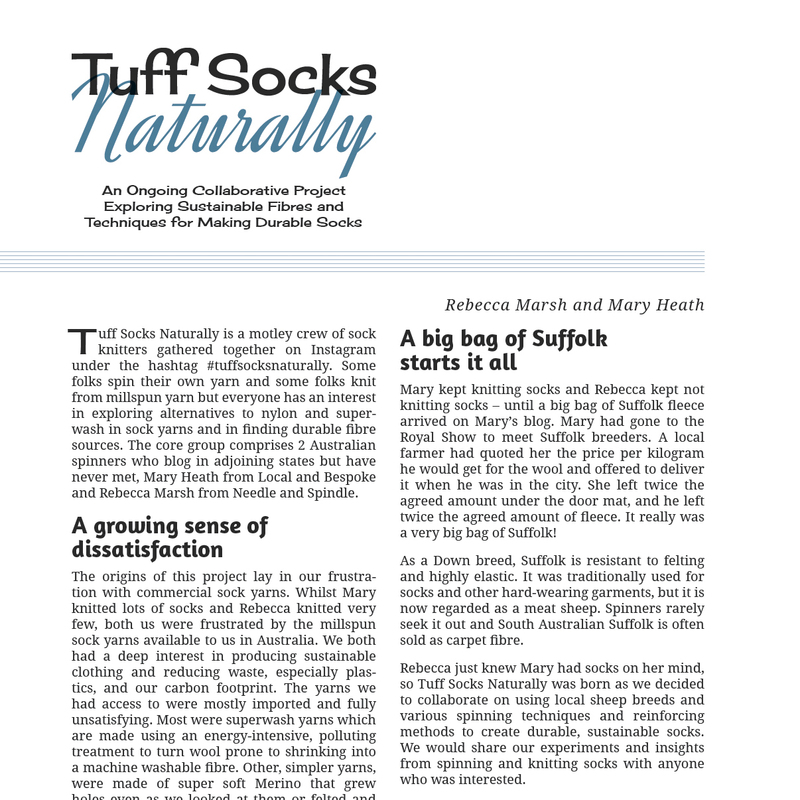 You can join in on the discussion on this blog or on the blog of the fabulous Rebecca at Needle and Spindle or on Instagram using the hashtag #tuffsocksnaturally. It is from Rebecca that this rather beautiful fleece came to me. She gave it to me washed, with its lock formation intact in a way that I almost never manage. I am deeply grateful for this wonderful gift! There was a day I was so keen to get spinning, I pulled this fleece from its calico bag next to the drum carder and visualised carding it. And put it back in its bag! The care and work represented by its beautiful cleansing was just too precious. In the end I decided to flick card each lock individually and spin directly from the lock, and what a lovely experience that was. It shouldn’t be a surprise, but I think I am getting better at spinning sock yarn through practising–and with such a lovely, beautifully prepared fibre and a longer, softer lock than the Suffolk, this felt a real breeze to spin. I’m really happy with this result. 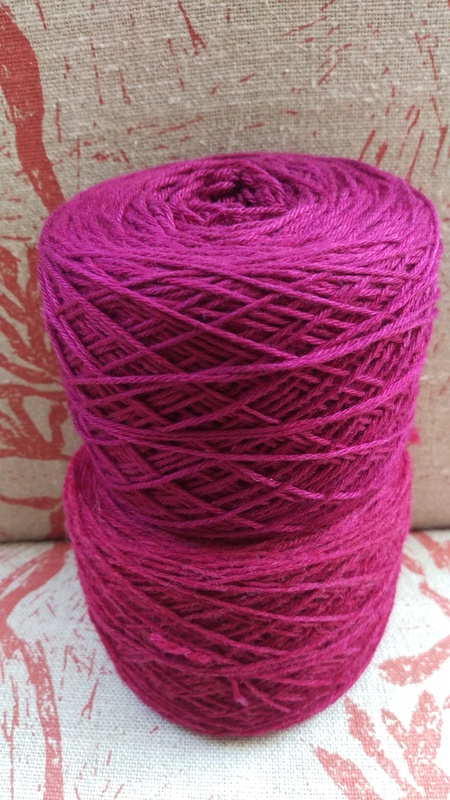 Ultimately I decided to dye it in cochineal with some vinegar in hopes of heightening the red tones. And now, my friends, it has wandered off to be exhibited in the Royal Show!